Will Not Even the Humble Hedgehog Be Spared by the Anthropocene? Did you know that there are hedgehogs in London? Well—for now. The construction of Britain’s High Speed Rail 2 (HS2) line requires half of the London Zoo’s parking lot for trucks as one of the city’s busiest train stations is remodeled. But the shrubs and hedges surrounding it happen to be home to around 30 hedgehogs. To protect the hedgehogs, the Thames Water utility company, which will be working on the site for six months before the HS2 trucks roll in, will put in place a package of wildlife protection measures. They include establishing wildlife corridors and laying down new hedgehog nest boxes. In addition, HS2 has hired a team of ecologists to advise on environmental issues that arise across the proposed rail route. 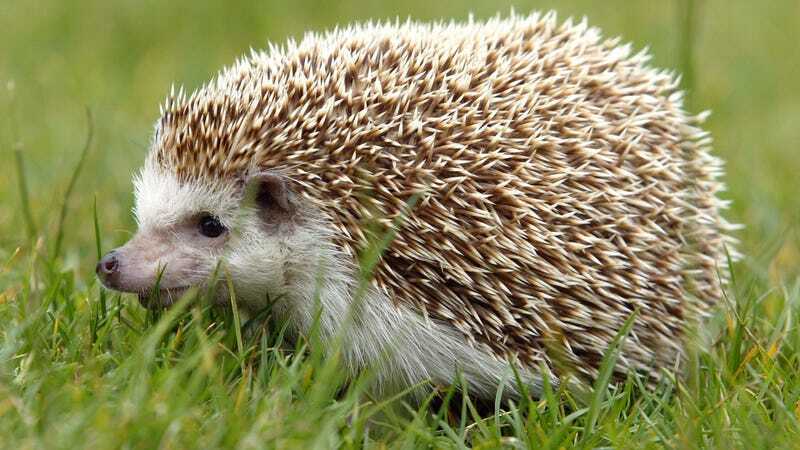 They will monitor the hedgehog population in the parking lot, located on the edge of Regent’s Park, one of London’s most popular green spaces. But zoologists would really like time to figure out why these hedgehogs are so drawn to the parking lot, of all places. “I’m not opposed to the HS2 but surely all the brains behind this incredible project could find somewhere else to park,” Field told NBC News. The concern comes as hedgehog populations have dropped precipitously in recent years. “The spiky creature was once a common sight, with the population estimated at 30 million in the 1950s. But that has plummeted to fewer than one million today, with a third of this loss thought to have taken place in the past decade,” the Guardian reported earlier this year. Will the relentless pace of development not even spare Mrs. Tiggy-Winkle?